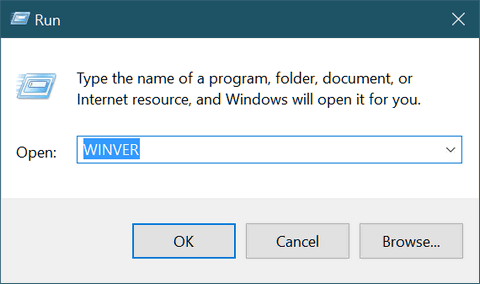 Yesterday, we published an article about Windows 10 End-of-Life Dates. Subsequently, we received several comments and quite a few emails from people asking us how they could find out what version of Windows they’re using. Type WINVER in the Run box. You’ll see the following dialog appear. Your version number will be right on the 2nd line under “Microsoft Windows”. See? See? It’s easy. Now you know what version of Windows you’re using. I recently had windows 10 reinstalled and the person seems to have used an old version. It is showing me Version 1607, and I have no idea what to do about it. 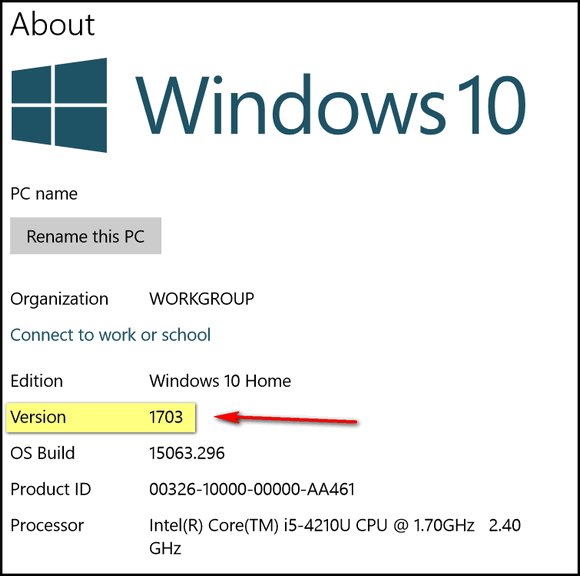 What do you do if you do not have the current version of Windows 10 You have 1607. 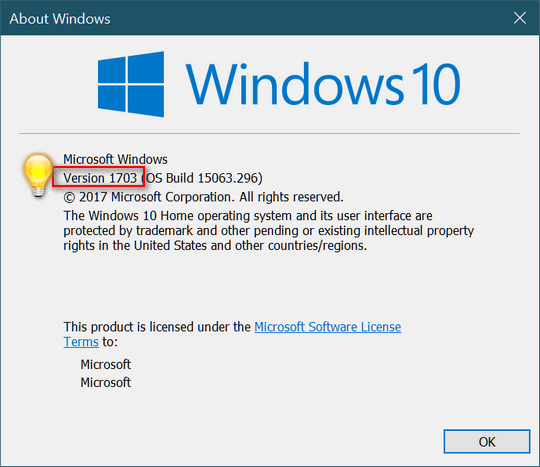 Our Windows 10 Pro has version 1607. If you do still have version 1607 should you wait for the update to come or do you look to download it yourself. Thanks for your help and your Newsletters. I too still have 1607. Same question…wait for update? Microsoft’s newest creators edition version is slowly rolling out in different areas so it will eventually update. I am in Michigan and mine has not updated from version 1607 either. I am still waiting. If you want to initiate the update manually, you can. I am in Michigan also and I have updated to the creators update (1703) on one computer, and I still have the older version (1607) on my other computer. I will wait for the update notice to update the 1607 computer. I live in North Carolina, and I still have 1607 also, not sure what I should do mine says I can be among first to get creators just click on the link. I haven’t yet. still waiting for them to update. My PC is 1607, hasn’t updated yet. My Laptop updated to 1703 last week. I appreciate all your newsletters, tips, stationery, etc. I downloaded the update to 1703. It took quite awhile to download, check the version it downloaded, and then to install it, but I now have it and all my files were there, as they said. Now I’ve got to read all your Creators Edition tips and tricks! OK I have Windows 8.1 Version 6.3 Build 9600 What does that tell me? Am I still OK for what I have? Windows 8.1 will be supported by Microsoft (i.e. you’ll get updates and security updates) until 1/10/2023. Oh my, I am using Windows 7. I love it, and it is what was compatible with Windows 7 at work. How long will it be supported? I have the professional version that has Publisher. My laptop is at least 6 years old… I don’t remember exactly, but I’d rather not upgrade knowing within a few years I will probably need a new computer…. although TC said I keep it really nice when he helped me last week. Hi Nancy. Windows 7 will be supported by Microsoft until January 2020 so you have about 2.5 years of support left.